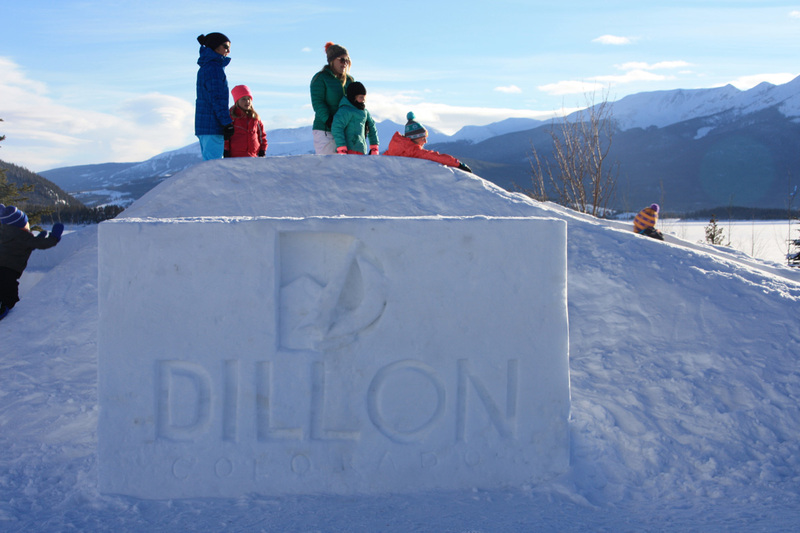 Located a short drive from five celebrated Colorado ski resorts and packed with affordable lodging options and quintessential winter activities, Dillon and Silverthorne are Summit County’s best-kept secrets. Plus, the towns are situated in the flourishing Exit 205 corridor — offering convenient access to I-70 and making it easy to get to and around the area. Experience Colorado’s cold-season splendor on and off the slopes. 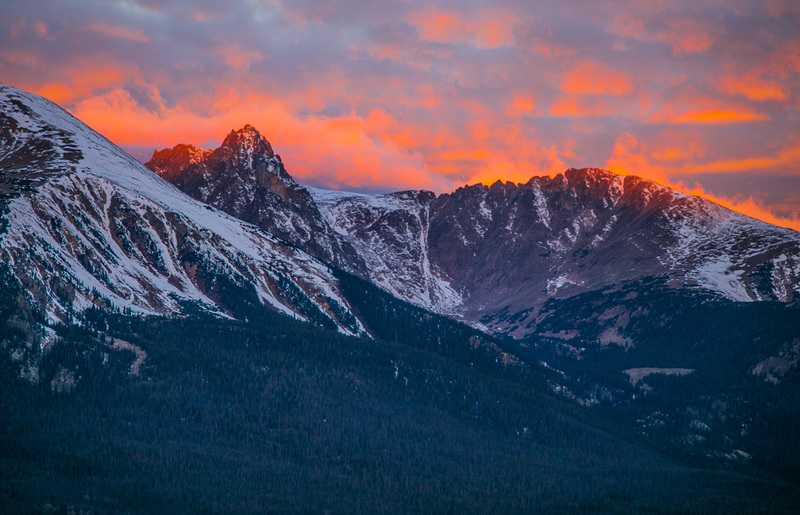 In addition to world-class skiing at nearby Arapahoe Basin, Loveland Ski Area, Keystone Resort, Copper Mountain and Breckenridge Ski Resort, there are plenty of outdoor pursuits to fill your itinerary. 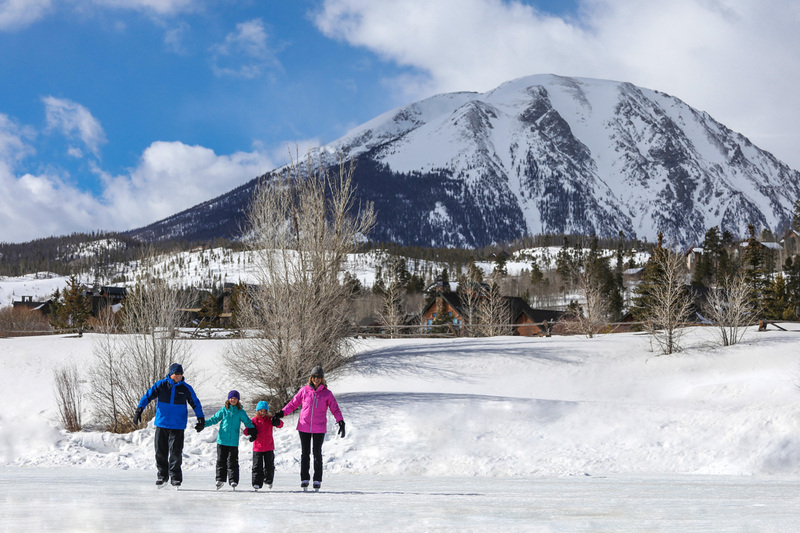 Lake Dillon, a hub for sailing, stand-up paddleboarding and other water activities in the summer, becomes an icy wonderland in the winter. Book an ice-fishing excursion on the lake with Big Ed’s Fishing Ventures, who’ll supply all of the essential gear and lead you to a prime spot to catch kokanee salmon, rainbow and brown trout or arctic char. Tour the otherworldly Ice Castles, or try snowkiting, a sport similar to kiteboarding on water — but the surfboard is swapped out for skis or a snowboard. 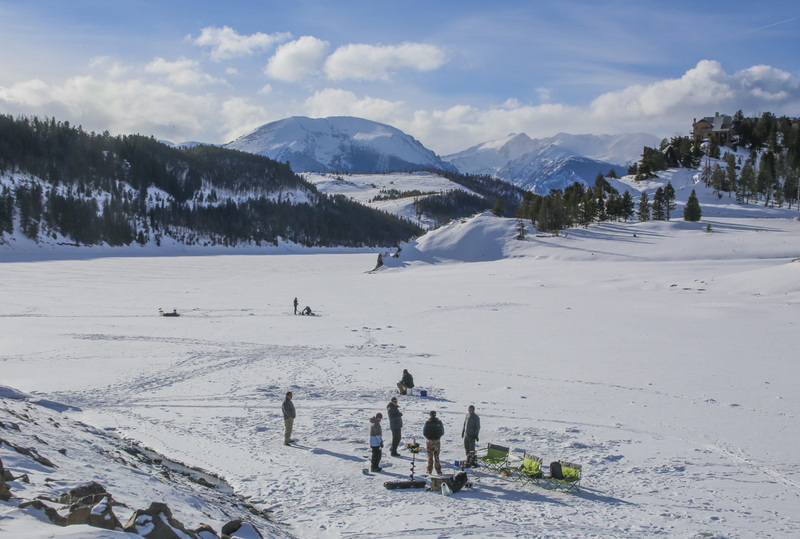 Colorado Kite Force offers lessons that’ll have you gliding over Lake Dillon’s frozen surface amid breathtaking snow-shrouded peaks in no time. There’s also sledding at Rainbow Park, ice skating at North Pond Park, and Nordic skiing and snowshoeing at Dillon Nature Preserve and Raven Golf Club at Three Peaks. There’s plenty to do indoors for the whole family. 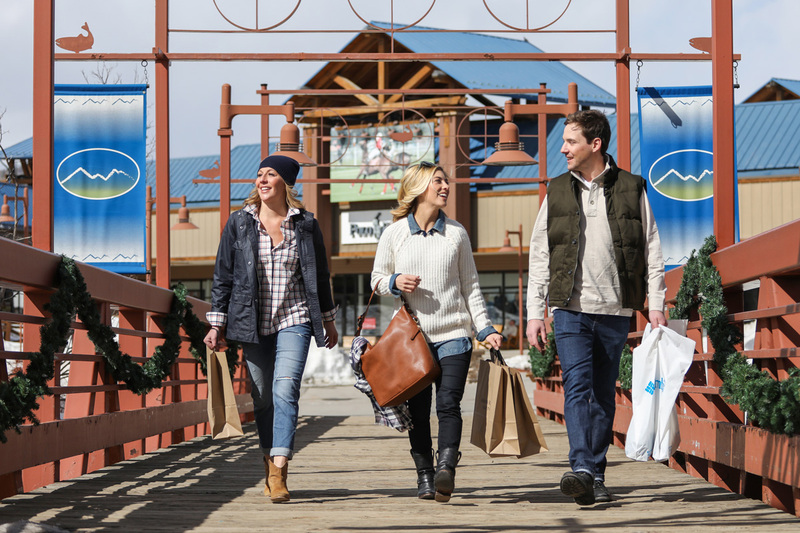 From the indoor pool, hot tub and fitness classes at Silverthorne Recreation Center and bowling at Lakeside Bowl & Billiards to stocking up on fashionable finds at the Outlets at Silverthorne, there’s plenty of things to do for those seeking indoor entertainment. See what life was like for students in the late 19th century at the refurnished Dillon Schoolhouse (limited winter hours) or catch a flick at Skyline Cinema. You can also catch a show by the Lake Dillon Theatre Company at the new Silverthorne Performing Arts Center and Cultural Center; or mingle with locals on First Friday, a monthly celebration of Silverthorne’s blossoming arts and culture scene with artist meet-and-greets, live music at various venues and special events at local businesses. After a day of winter fun, enjoy après ski and tasty eats at craft breweries, bars and restaurants. Nothing satisfies the soul after a day of powder play like a Colorado craft brew. Complement the Dam Straight Lager with a plate of chicken-fried chicken, at Dillon Dam Brewery; or warm your belly with a Pack Iron Pale Ale and bowl of pork green chili on the shores of Lake Dillon at Pug Ryan’s. Meanwhile, The Bakers’ Brewery is a favorite for its made-from-scratch comfort food and wide variety of rotating brews, like Winter is Coming, a black seasonal saison with an earthy spice and subtle hints of spruce. And Angry James Brewery has locally sourced eats and “liquid for your soul” (you can’t go wrong with their American Red Ale). Choose from a variety of affordable lodging options. There are great places to stay off Exit 205 for groups of all sizes — so you can slumber at the center of the action. Those traveling with four-legged friends are welcome at Quality Inn and Suites in Silverthorne, while the Dillon Inn offers cozy digs with a large indoor pool and hot tub (Homewood Suites is also breaking ground in Dillon fall 2018). A variety of vacation rentals are also available in both towns.